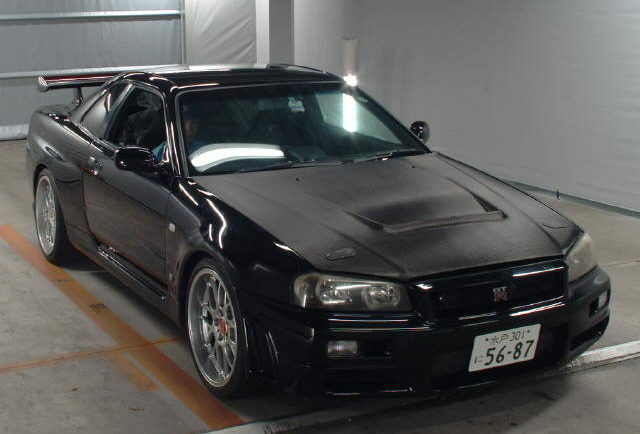 Home / Blog / So you found a "Low km" R34 GTR for sale ? Let’s say you’re in Canada or Australia and it seems like you’ve just come across the perfect low km R34 GTR you’ve been looking for. The dealer tells you he’s just freshly imported it from Japan, it’s a grade 4 and has only 53,000 km on the clock. That’s a low km R34 GTR right ? It has the carbon fibre bonnet you want, a nice set of deep dish alloys, lowered suspension and airpods, and looks mean in black. The dealer assures you it has no past repair history and you’re the first owner outside of Japan. Unfortunately the truth often does not match the advertising. Do some independent research and you may find something like this example which had 114,850 km when last auctioned, as well as front and rear accident repairs and damage to the sideskirts / rails indicating it had run over something. Often auction reports list aftermarket parts such as HKS EVC (boost controller), which tend to be removed following import by resellers in order to make the car appear less modified (and less abused). In some cases when asked, the seller will provide some paperwork (whether genuine or not) to back up their claims, in other cases they will give you a blank look or try to explain that the car was not bought from auction etc. etc. The fact is that virtually all Japanese export cars are bought from auction, as it is far cheaper than any other alternative. So no matter what you are told, there is a very good chance that we can obtain past auction records for the car. If we CAN obtain auction records and the seller told you it was NOT bought from auction, what does that tell you ? You should be particularly wary of dealers who are also importers, as they are often the ones responsible for inspecting the condition on arrival and approving the car for compliance and registration in your country. As such they clearly have a vested interest in ensuring that they make their money from selling the car, and this will ALWAYS override your interest in buying a genuine vehicle for the right price. 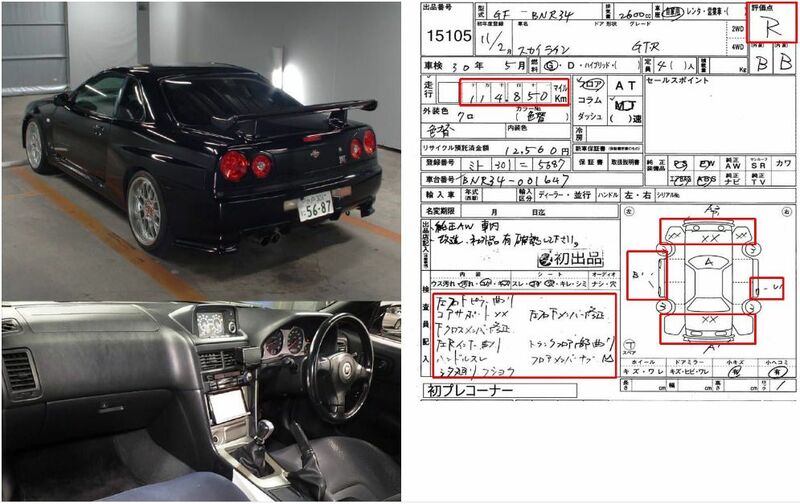 Auction sheets and export certificate paperwork from Japan can be easily faked. So with such an expensive investment it’s well worth undertaking your own independent research.